The remastered versions of Dead Rising, Dead Rising 2, and Dead Rising 2: Off the Record will be hitting the PlayStation and Xbox store next month for the current gen consoles. The digital versions will be available prior to the retail disc versions, which will be available a little later. You'll be able to buy each game individually for $19.99, or you can pick up all three at a slight discount for just $49.99 if you pre-order it now (the pack jumps back up to normal price of $59.99 after release). Regardless of how you purchase the titles, each one should include all DLC costumes that were released for the games during their original run, but the additional DLC expansions of "Case West" and "Case Zero" will not be re-released. On the PC side, you can already pick up Dead Rising 2 and Dead Rising 2: Off the Record on Steam, but the original Dead Rising will be available for the first time starting September 13. If you missed these titles the first time around and thinking of picking them up now, a little word on the co-op. Dead Rising has no co-op whatsoever, while Dead Rising 2 and Dead Rising 2: Off the Record both support online co-op for two players. The second player can help the host with missions, kill zombies, etc, but the second player only keeps any experience/money earned through the course of this. Overall progression is only saved for the host. The Dead Rising Triple Pack is available for pre-order now via the PlayStation and Microsoft stores, and will be fully released on September 13. 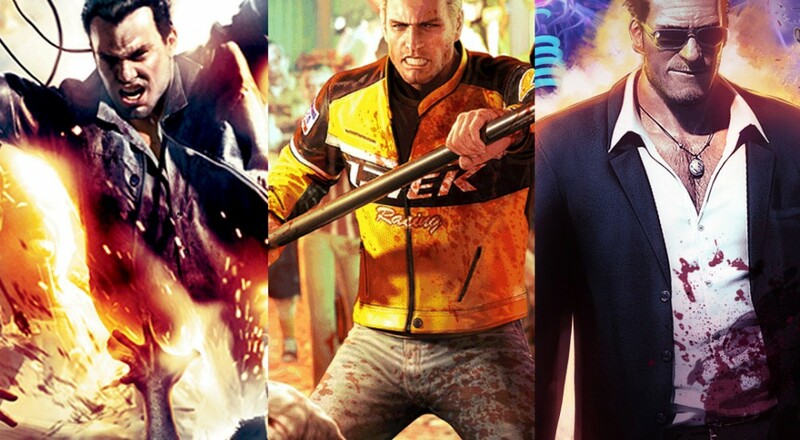 Dead Rising, Dead Rising 2, and Dead Rising 2: Off the Record will be available individually for purchase on that date (not before) for $19.99 each. North America will get a retail disc version of Dead Rising on September 13, and a retail disc version of Dead Rising 2 on September 27.